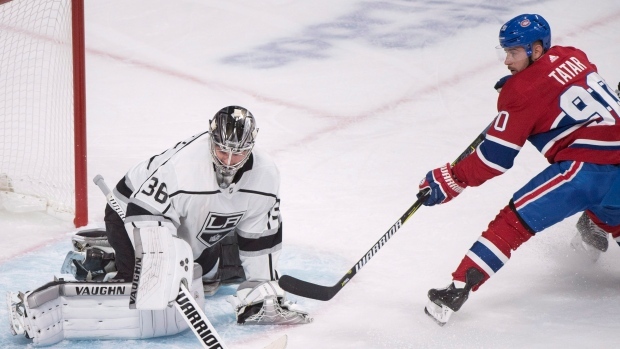 MONTREAL — On a night when the Montreal Canadiens honoured the franchise's last Stanley Cup winning team, this year's Habs hardly played like champions. "They had 40 (shots) but we did a heck of a job all night," said Campbell, who got the game puck. "They have some real good skill and we limited their interior offensive chances. Notes: Shea Weber skated Thursday for the first time since undergoing knee surgery this summer. He's not expected to return before December. … Alec Martinez played his 500th NHL game, all with the Kings.